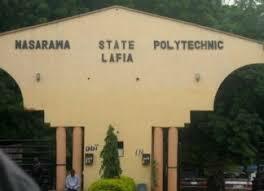 Nasarawa State Polytechnic, Lafia, (NASPOLY) has released the Admission list for all candidates admitted into their National Diploma Programme for the 2018/2019 Academic Session. We wish to inform the general public and candidates that applied for admission into the National Diploma (ND) programme that the first batch admission list is out and has beenpublished on the Polytechnic notice board, candidates can now check their names by visiting the school or ask friends to help them check their admission status. The Names were pasted on Friday 12th October, 2018. Please you are also informed by the management that you can also Accept or Reject admission by visiting the Nasarawa State Polytechnic , Lafia CBT Centre to print out your admission letter, All admitted candidates are forewarned that until you have gotten your admission letter from JAMB, You are not expected to pay any money. Thank You!